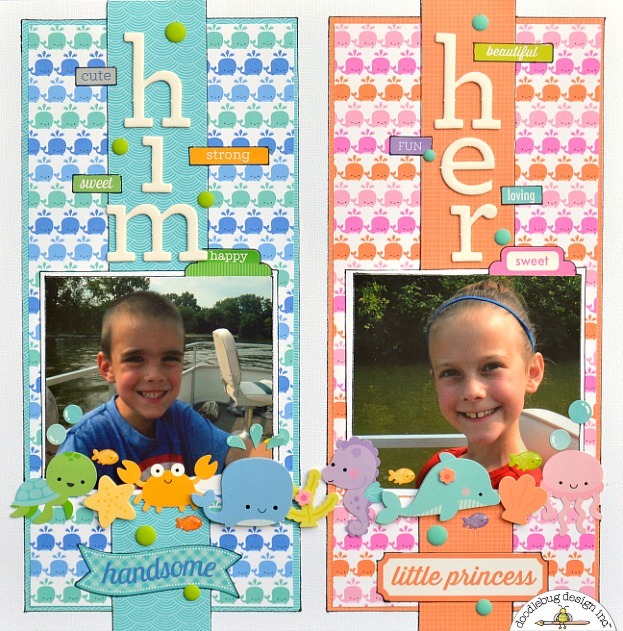 Mixing and Matching collections is so much fun - especially when using Doodlebug as the colors all match up perfectly! I decided to put a different spin on the challenge and Mix & Match Anchors Aweigh and Under the Sea. Both have a water theme but one is geared at boys and one at girls. So I played up that contrast with this "Him & Her" layout! As you can see there was matching paper in both collections with the whale print. I really loved that paper so it was awesome to put both color schemes side by side. And of course her side got the same treatment but with the pieces from Under the Sea instead! 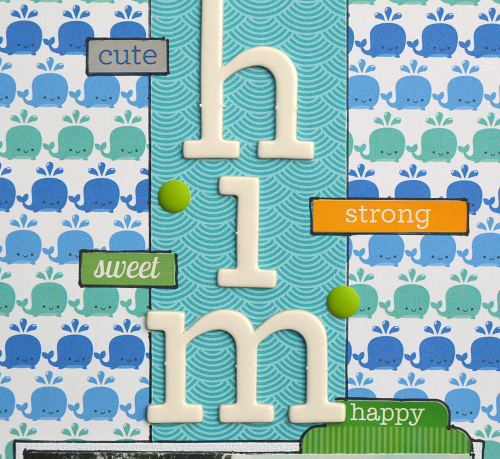 Chippers have become a go to staple for me - perfect size for titles and so many colors to choose from! I always include lots of text on my projects (and not so much journaling) and these stickers from the This & That part of the collections were perfect! 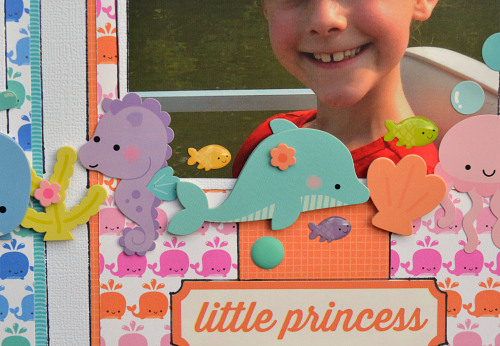 Stay tuned a for lots more Mixing and Matching here on the Doodlebug Blog! I love how you used the 2 collections!! Such a fantastic layout!! What a brilliant design! I love that there are 2 separate and distinct sections but that they both coordinate so well together because of how well the collections match. Very cool! Perfect layout Christine! Really great design! OMG Your Layout is beyond Adorable...I have never seen a layout like this before I am in awe!! You really came up with an abundance of amazing and clever ideas and the results is outstanding. Thanks for sharing your fantastic creative ideas!! YOU so ROCK!! What a cute layout! Love the compare and contrast idea. Wow - this turned out so fantastic!! The colors of these collections really do mesh well - this layout is proof of that!! 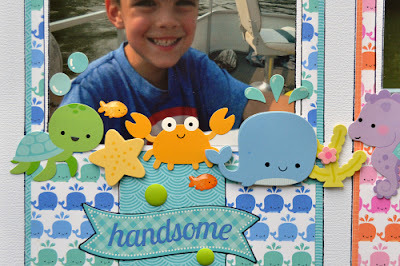 Love the sea creatures under each picture and the way the titles look is so great! !